July 9 is happening sooner than you realize (the lazy people I know have already packed it in for the Fourth of July holiday), and with it, the big one: our Sneak Preview TV Screening Party and NYC Quiz. (You got your tickets, right?) And five days later, the even bigger one: the BQT's debut on the NYC Life network. Huzzah! I've crowed about it before: NPR's still-newish trivia/puzzle show, hosted by comic all-star Ophira Eisenberg (a recent BQT opening act, in fact), musical-sidekicked by the nigh-legendary Jonathan Coulton, and occasionally written by (and even more occasionally guest-puzzlemastered by) yours truly. 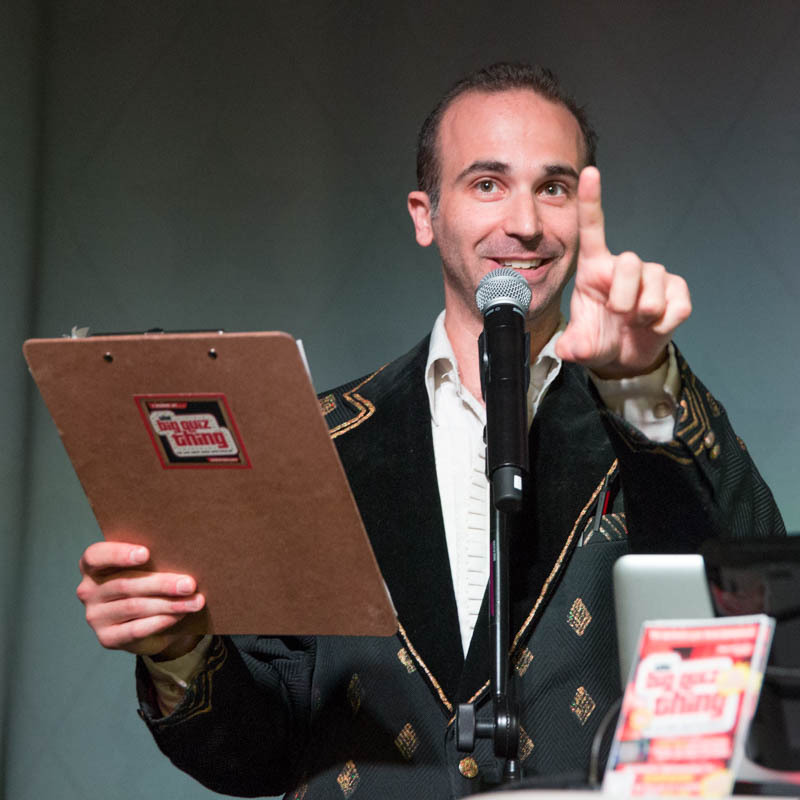 It's a fantastic production—there aren't many trivia shows that I put on par with the Big Quiz Thing (based on my high standards and my ego, of course), but Ask Me Another firmly belongs in that category. Allow me to brag by directing you to perhaps my best-received AMA game, "The Philosopher's Comedy Club." Seriously, one of the things I hate most about the BQT's recent explosion is the fact that I have less time to devote to this project. Priorities! I've stood second from left. AMA records its shows before a live audience, usually at Brooklyn's Bell House (a stone's throw from our Brooklyn home of Littlefield), and being part of that crowd is a guaranteed good time: Ophira and Coulton are an excellent onstage team, the contestants are invariably a great bunch, you can count on a primo celebrity guest, and the general vibe is one of maximum game-nerd fun. There are two more tapings this summer: July 2 and July 8. Tickets, etc., are here. 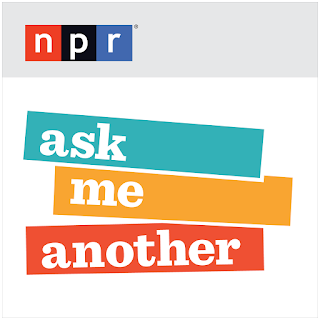 But fear not: Ask Me Another will be back for more tapings in the fall, and we'll be giving away a big pile of passes to lucky quizgoers at the #BQTonTV spectacular. Quiz show synergy—see how that works? But first you have to buy tickets—the Highline Ballroom welcomes your business.